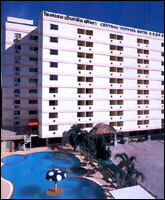 Central Pattaya Hotel is located at downtown of South Pattaya city, The hotel is prominently positioned at the junction of the road leading to Khao Pratumnak and Jomtien beach. 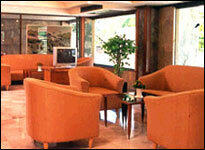 It is 10 minutes walk to the beach and shopping stretch of the city from the hotel. 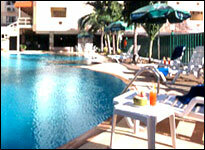 It is only a 10 to 15 minutes drive from the hotel to most part of pattaya city and Jomtien beach. 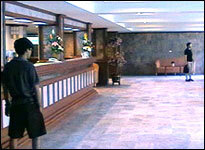 - Visitor Policy : Every visitors who visiting to guest's room will be charged at Baht 300 per each visiting. 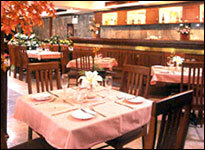 - Early check-out is subject to charge for whole period of reservation. 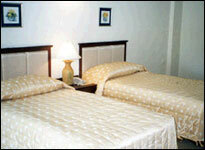 - Confirmed room will be available for occupancy after 2:00 pm on the day of arrival. Check-out time is 12.00 noon Rooms used from 12:00 noon to 07:00 pm on the day of departure will be charged 50% of the room rate. Rooms occupied beyond 07:00 pm will be charged at the full room rate, unless specifically specified otherwise in writing by the hotel. - For normal period; Written notification of cancellation or reduction is required by email or fax to E Biz Travel at least 7 working days prior to arrival (Not including Sat, Sun & Public Holidays); otherwise, one night room rate (per each room reserved) as penalty will be charged. - During 20 Dec 06-15 Feb 07; Written notification of cancellation or reduction is required by email or fax to E-Biz Travel at least 14 working days prior to arrival (Not including Sat, Sun & Public Holidays); otherwise, one night room rate (per each room reserved) as penalty will be charged. 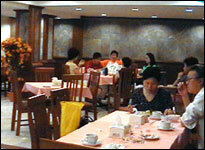 The hotel 153 well equipped rooms include both Superior, Standard and Deluxe rooms. 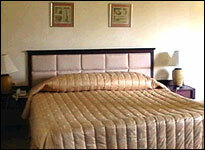 All rooms are equipped with aircons, IDD, mini bar, cable TV and designed for maximum comfort. There is bathtub and hot shower in all rooms. 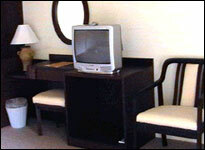 Non smoking rooms is also available on request. 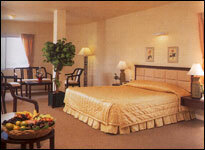 - 125 Superior rooms, 26 Square metres. - 19 Deluxe rooms, 44 Square metres. 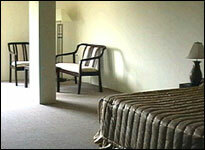 - 9 Standard rooms, 21 Square metres. 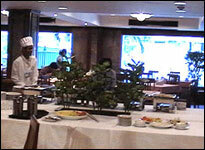 Our well equipped kitchen can dish out all type of cuisines. Even menu of your choice if you request before hand, The coffee shop is 213 square metres capable of handling upto 120 seaters Indoor. There is also a 12 seaters bar at the coffee shop, Come enjoy a wide variety of dishes, seafoods ranging from International favourites to Asia well known delights. There is a 24 hours room service at the hotel. The beauty of our swimmming pool (300 square metres) come complete with jacuzzi. 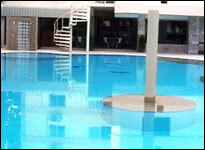 The pool caters to both adults (depth 0.9 to 1.6 metres) and children (depth of 0.6 metre). Enjoy your favourite drinks at our pool bar or your snacks as you relax on the poolside. 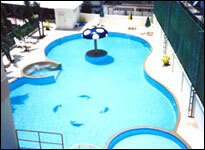 We have 30 seaters outdoor and 6 seaters at the poolbar for those who like outdoor and the sun.